WD3 Wargames Directory 3.4 • View topic - Anyone else? Just finished making an inventory on Excel of all my painted 6mm chaps and vehicles.Haven't entertained an idea of cataloguing my little unpainted chaps! GW 92 vehicles and infantry of which 24 are models and 69 are infantry. Madness... just No. Do not put this thought in my head! I do roll calls of stuff I think is finished. 15th Panzer Division 1941, 15mm, 1:5 scale. SYW Austrians, 28mm, 168 cavalry, 640 infantry, 12 guns. SYW Prussians, 28mm, 776 figures. Ancient Naval, 1:600, 118 ships. I've not done one for the Brits 1941 because they are not finished, nor have I done one for my Italian Wars for the same reason. I did one for the Crusades, 28mm, 1107 figures but the pictures are rubbish. I'm also working on my Napoleonic collection though that's stalled a bit. Whoooo! Lots of lovely painted figures there! They are splendid Olicana ! I wish I had the space to even do a roll call. 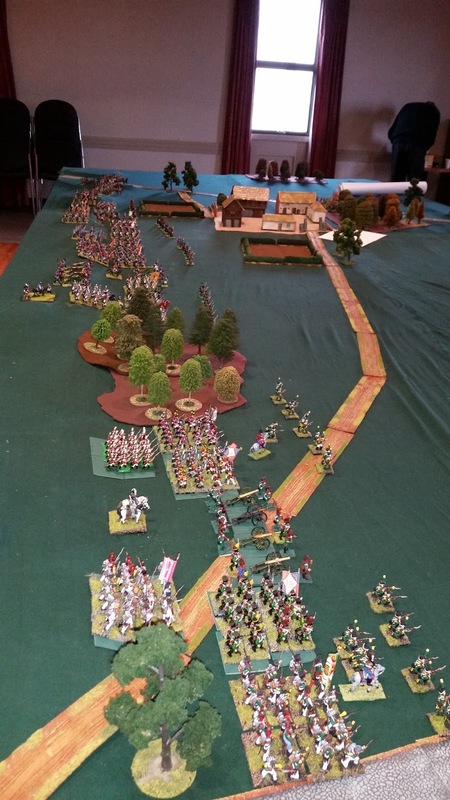 The only roll call I did was at the start of a Waterloo refight where I provided around 1/3 of the French. Indeed, WOW, Olicana! That is impressive. I have almost finished my Calpe 28mm Prussian army, just under 1000 figures. However I will need a place to lay them all out. On occasion I get out the toys and drool over them. The last time was with my World War II Japanese. Since then the Aoba Detachment of the 4th (Sendai) Regiment has grown considerably in size, so I should get around to having another review in front of the Emperor. My collection of painted stuff is not nearly as big as some of the ones above. Although at one time back when I lived in Vancouver, we used to play simply massive SYW and ACW games. Thousands of figures between us, all in magnificent 25mm, and on a 16' by 5' table with a curtain we could draw along the centre to mask deployment. Great fun, and the games looked grand. But in those pre-Internet days nobody thought to take any pictures. I wish I'd have kept my French. These days I'm still a card-carrying 25/28mm guy- toy soldiers come first, choice of rules are secondary, and available gaming/storage space, as always, dictate the kind of games we play. In recent years, although we do occasionally put on very enjoyable megagames, I find myself actually enjoying smaller games more and more, as they often offer more tactically interesting challenges- better games- without the logistical hassles of transport, storage and simply time that often accompany the wall-to-wall miniature slugfests. I admit to a very big collection of old Minifigs and Garrison Ancients from four sources - 45 years buying and painting from manufacturer, making and painting my own Garrison figures, buying collections and ebay. Generally painted to decent wargames standard rather than brilliant. At the moment I'm building them as DBA armies including new' figures. I like setting up and owning large armies - 2,000 figures set up looks good - but prefer to play solo with mall armies.